A man entered a house in the middle of the night and molested a girl half an hour north of the Tucson home where Isabel Celis disappeared last month, possibly providing clues in the case of the missing 8-year-old who vanished from her bedroom over a week ago. Police say a white man in his 20s entered a house in a neighborhood in Arizona's Pima County around 2 a.m. Monday and went into a bedroom where three sisters, aged 6, 8 and 10, were sleeping. The intruder reportedly molested one of the girls before fleeing the scene. While Pima County Sheriff's investigators say they that the two incidents are likely unrelated, there might be a connection to the disappearance of Celis, who was reported missing by her father around 8 a.m. on April 21 after her mother left for work and her father went to wake her up. Celis was not in her room, and a bedroom window was opened with the screen removed, police said. Richard Kastigar of the Pima Co. Sheriff's Department said there is a possibility that the cases are connected. "There could be. We don't believe so at this time, [and] I personally think that these are probably isolated incidents," Kastigar told ABC News. Residents in Pima County are surprised such an incident took place in their area and have themselves related it to Celis' disappearance. "I'm shocked," Mame Bowman, a neighbor of the victims said. "Because it's a really quiet a rural neighborhood. And in light of what's happened last week, it's scary." The search for Celis expanded into Mexico on Saturday when U.S. marshals asked Mexican police for help checking hotels, bus terminals, and businesses in the Mexican border state of Sonora, where Isabel's photo is being circulated. The idea that somebody crossed and picked up Isabel and then went back into Mexico is actually realistic," former FBI agent and ABC News consultant Brad Garrett said. Tucson is close to the Mexican border and many in the city are either from Mexico or have connections there. Investigators have also not ruled out Celis' parents as suspects, though they have said the family has cooperated fully with police during the investigation. "We have tremendous gratitude to the millions of people around the world who have prayed for Isabel," Becky Celis said. "Please continue to pray for her return. We don't want the focus to be taken off Isabel by talking in front of the cameras." Authorities are awaiting lab results of the evidence gathered, sources told ABC News. Police have searched homes in the family's neighborhood, dug through a nearby landfill and searched waterways and drainage systems in Tucson, but so far have few leads. 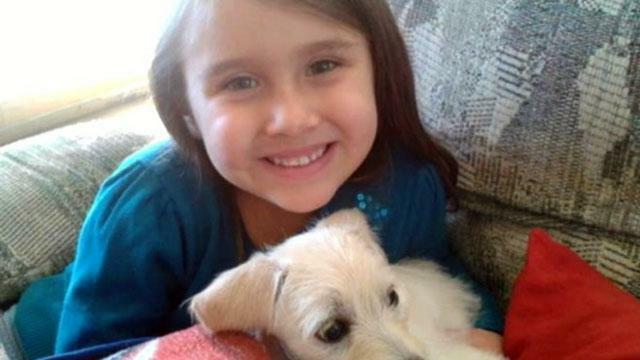 The missing girl's parents issued a plea last week for the safe return of their daughter. "Just please, please, to the person or persons who have Isabel, tell us what you want. We will do anything for her. We're looking for you, Isa," Sergio Celis, the girl's father, said tearfully. ABC News' Tanya Rivero, Olivia Katrandjian, Alyssa Newcomb and Colleen Curry contributed to this report.